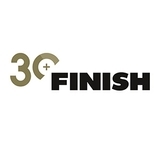 The viscoelastic acrylic (foam) core of these products is designed to offer best results for highly demanding, permanent bonding applications on most surfaces. Thanks to their viscous (flow) properties, the ORABOND® UHB Tapes mould perfectly even to rough and structured surfaces. Thus, they reach very strong and load-bearing adhesion levels, whilst at the same time protecting the surface against external agents, e.g. humidity. The elastic qualities of the ORABOND® UHB Tapes enhance the inner strength of the tapes, allowing a high absorption capacity of dynamic forces, e.g. shock and impact. * Possible roll widths from 3mm depending on series. Contact ORAFOL for further information. 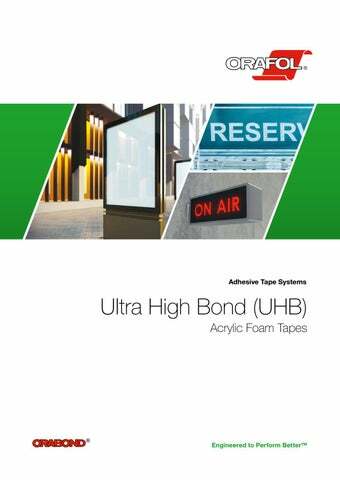 UHB-Primer The ORABOND® UHBPrimerA & B are versatile adhesion promoters enhancing the adhesive power of ORABOND® UHB foam tapes and other ORABOND® products especially on difficult-to-bond elastomers. ORABOND® UHBPrimerB additionally contains a UV-marker.